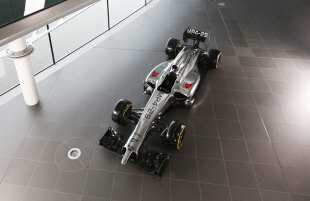 I watched the launch of the McLaren and Lotus F1 cars from my office. No, let me rephrase that; I had no option but to watch the launch of the McLaren and Lotus F1 cars from my office. Welcome to 'Let's Go Racing on the Social Media', a means of communication that saves a team loads of money and does away with the need to have nosey journalists hanging about and asking awkward questions. These are indeed difficult times when the absence of potential sponsors is as high on a team's agenda as the loss of exhaust-generated downforce, the only similarity being that, in some hard-pressed cases, both issues are driven by hot air. Meanwhile, the launches taking place this week with visible human presence in the Jerez pit lane will be a bit like the laboured pre-match scenes on the pitch before a rugby international. You know, the boys dancing awkwardly from foot to foot before being forced to listen to a national anthem they can barely understand and then shake hands with blokes they can't wait to knock six bells out of. 'Okay you lot, here's the new car, now p*** off because we've got to go testing.' I exaggerate - but not by much. Whatever way you look at it, the grand launch of an F1 car is a thing of the past. And when I say 'grand', I can assure you that is not an exaggeration. The man who set the standard was David Thieme. 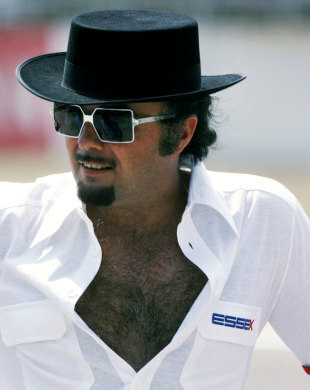 With his goatee beard, black fedora, air of mystery and significant apparent wealth, the owner of the Essex Overseas Petroleum Corporation made full use of his association with Team Lotus. Thieme generated his money along the lines of buying and selling tanker loads of fuel when at sea and not actually having to touch the stuff when on dry land. Whatever it was that Thieme did, it appealed to Colin Chapman's hustling nature as he happily sprayed his cars in Essex colours and handed over the title sponsorship for, one imagined, more than a year's free fuel for his personal Lotus Turbo Esprit. To be honest, the expected journalistic urge to investigate Mr. Thieme was diverted with remarkable and shameful ease when he threw launch parties that had to be seen to be believed. The first occurred in Paris in December 1979. An overnight stay in a posh hotel became small beer when we reached Paradis Latin, an upmarket night club that seemed to be decked from floor to ceiling in rich red velvet and frequented by strange people. I say 'strange people' because they were nothing like the catering staff serving coffee and biscuits at our previous car launch. I mean, the Heathrow Post House conference room did not specialise in curious creatures scantily clad in fancy dress and whispering what seemed like charming obscenities in French while dispensing more champagne than you could shake a pen and notebook at. Writing things down became totally irrelevant as the night wore on and we stabbed cheerfully at Filet de Charolais we could barely see and dribbled Beycheville 1973 down our shirtfronts while trying to watch stunning mannequins perform on stage. At no point could we see the racing car that was supposed to be the reason behind this extravaganza. The Lotus 81 was eventually revealed, bottom first (appropriate, given some of the antics in the preceding floor show), when it was lowered from the ceiling. And waving from the cockpit - a touch nervously, it has to be said - sat Mario Andretti as the car made its stuttering progress towards the floor, accompanied by loud music and then, would you believe, the French National Anthem. The subsequent interview was a waste of time because we couldn't hear it and, even if we could, no one was in a fit state to write anything down. The hangover scale the following morning indicated that this had been a very grand launch indeed. The following year, Thieme pushed the boat out even further when he hired no less than the Royal Albert Hall and engaged Shirley Bassey as the headline act. Just about anyone you have ever heard of in F1 was present and Roger Vergé, probably the first-ever Team Chef, managed to feed the entire ensemble with a very respectable three-course meal. Word had it that Thieme had chartered a Boeing 747 freighter to fly in enough bougainvillea to decorate the entire establishment and give the 'Riviera theme' that his chef had required. Since most of us were driving home, the event did not register significantly on the hangover scale. But, interestingly enough, the declining fortune of each Lotus F1 car was in direct proportion to the elaborate detail and scale of the preceding launch. Mr. Thieme found it difficult to continue when he was arrested at the request of a major Swiss bank and released on bail a fortnight later. The Essex symbols on the Lotus disappeared just as quietly. Now there's none of that intrigue. A quick reveal, a link to a press kit, and there's your launch. Not a sniff of bougainvillea. And not a single headache. More's the pity.